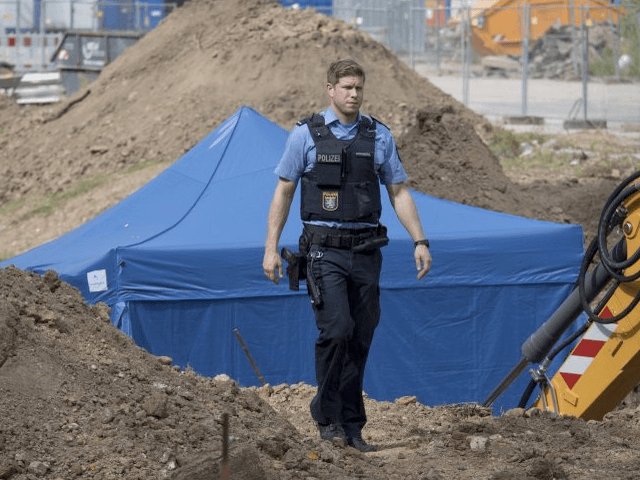 BERLIN (AP) — City authorities in Frankfurt plan to evacuate more than 60,000 people from their homes on Sunday to defuse a World War II bomb found during construction work. The 1.8-ton bomb of a type dropped by British bombers was unearthed Tuesday. City councilor Markus Frank said Thursday it contains 1.4 tons of explosives. Frank said that a radius of 1.5 kilometers (nearly a mile) around the bomb will have to be evacuated as a precaution ahead of the disposal itself, which is expected to take about four hours. Officials are describing the planned evacuation as Germany’s biggest yet, though similar operations are still common more than 70 years after the war ended. In May, for example, around 50,000 people had to leave their homes in Hannover temporarily for a bomb disposal.